YUSUFALI: Whatever is in the heavens and on earth, let it declare the Praises and Glory of Allah: for He is the Exalted in Might, the Wise. PICKTHAL: All that is in the heavens and all that is in the earth glorifieth Allah, and He is the Mighty, the Wise. SHAKIR: Whatever is in the heavens and whatever is in the earth declares the glory of Allah, and He is the Mighty, the Wise. YUSUFALI: It is He Who got out the Unbelievers among the People of the Book from their homes at the first gathering (of the forces). Little did ye think that they would get out: And they thought that their fortresses would defend them from Allah! But the (Wrath of) Allah came to them from quarters from which they little expected (it), and cast terror into their hearts, so that they destroyed their dwellings by their own hands and the hands of the Believers, take warning, then, O ye with eyes (to see)! PICKTHAL: He it is Who hath caused those of the People of the Scripture who disbelieved to go forth from their homes unto the first exile. Ye deemed not that they would go forth, while they deemed that their strongholds would protect them from Allah. But Allah reached them from a place whereof they recked not, and cast terror in their hearts so that they ruined their houses with their own hands and the hands of the believers. So learn a lesson, O ye who have eyes! SHAKIR: He it is Who caused those who disbelieved of the followers of the Book to go forth from their homes at the first banishment you did not think that they would go forth, while they were certain that their fortresses would defend them against Allah; but Allah came to them whence they did not expect, and cast terror into their hearts; they demolished their houses with their own hands and the hands of the believers; therefore take a lesson, O you who have eyes! YUSUFALI: And had it not been that Allah had decreed banishment for them, He would certainly have punished them in this world: And in the Hereafter they shall (certainly) have the Punishment of the Fire. PICKTHAL: And if Allah had not decreed migration for them, He verily would have punished them in the world, and theirs in the Hereafter is the punishment of the Fire. SHAKIR: And had it not been that Allah had decreed for them the exile, He would certainly have punished them in this world, and m the hereafter they shall have chastisement of the fire. YUSUFALI: That is because they resisted Allah and His Messenger: and if any one resists Allah, verily Allah is severe in Punishment. PICKTHAL: That is because they were opposed to Allah and His messenger; and whoso is opposed to Allah, (for him) verily Allah is stern in reprisal. SHAKIR: That is because they acted in opposition to Allah and His Messenger, and whoever acts in opposition to Allah, then surely Allah is severe in retributing (evil). YUSUFALI: Whether ye cut down (O ye Muslim!) The tender palm-trees, or ye left them standing on their roots, it was by leave of Allah, and in order that He might cover with shame the rebellious transgresses. PICKTHAL: Whatsoever palm-trees ye cut down or left standing on their roots, it was by Allah's leave, in order that He might confound the evil-livers. SHAKIR: Whatever palm-tree you cut down or leave standing upon its roots, It is by Allah's command, and that He may abase the transgressors. YUSUFALI: What Allah has bestowed on His Messenger (and taken away) from them - for this ye made no expedition with either cavalry or camelry: but Allah gives power to His messengers over any He pleases: and Allah has power over all things. PICKTHAL: And that which Allah gave as spoil unto His messenger from them, ye urged not any horse or riding-camel for the sake thereof, but Allah giveth His messenger lordship over whom He will. Allah is Able to do all things. SHAKIR: And whatever Allah restored to His Messenger from them you did not press forward against it any horse or a riding camel but Allah gives authority to His messengers against whom He pleases, and Allah has power over all things. YUSUFALI: What Allah has bestowed on His Messenger (and taken away) from the people of the townships,- belongs to Allah,- to His Messenger and to kindred and orphans, the needy and the wayfarer; In order that it may not (merely) make a circuit between the wealthy among you. So take what the Messenger assigns to you, and deny yourselves that which he withholds from you. And fear Allah; for Allah is strict in Punishment. PICKTHAL: That which Allah giveth as spoil unto His messenger from the people of the townships, it is for Allah and His messenger and for the near of kin and the orphans and the needy and the wayfarer, that it become not a commodity between the rich among you. And whatsoever the messenger giveth you, take it. And whatsoever he forbiddeth, abstain (from it). And keep your duty to Allah. Lo! Allah is stern in reprisal. PICKTHAL: And (it is) for the poor fugitives who have been driven out from their homes and their belongings, who seek bounty from Allah and help Allah and His messenger. They are the loyal. SHAKIR: (It is) for the poor who fled their homes and their possessions, seeking grace of Allah and (His) pleasure, and assisting Allah and His Messenger: these it is that are the truthful. YUSUFALI: But those who before them, had homes (in Medina) and had adopted the Faith,- show their affection to such as came to them for refuge, and entertain no desire in their hearts for things given to the (latter), but give them preference over themselves, even though poverty was their (own lot). And those saved from the covetousness of their own souls,- they are the ones that achieve prosperity. PICKTHAL: Those who entered the city and the faith before them love those who flee unto them for refuge, and find in their breasts no need for that which hath been given them, but prefer (the fugitives) above themselves though poverty become their lot. And whoso is saved from his own avarice - such are they who are successful. SHAKIR: And those who made their abode in the city and in the faith before them love those who have fled to them, and do not find in their hearts a need of what they are given, and prefer (them) before themselves though poverty may afflict them, and whoever is preserved from the niggardliness of his soul, these it is that are the successful ones. YUSUFALI: And those who came after them say: "Our Lord! Forgive us, and our brethren who came before us into the Faith, and leave not, in our hearts, rancour (or sense of injury) against those who have believed. Our Lord! Thou art indeed Full of Kindness, Most Merciful." PICKTHAL: And those who came (into the faith) after them say: Our Lord! Forgive us and our brethren who were before us in the faith, and place not in our hearts any rancour toward those who believe. Our Lord! Thou art Full of Pity, Merciful. SHAKIR: And those who come after them say: Our Lord! forgive us and those of our brethren who had precedence of us in faith, and do not allow any spite to remain in our hearts towards those who believe, our Lord! surely Thou art Kind, Merciful. YUSUFALI: Hast thou not observed the Hypocrites say to their misbelieving brethren among the People of the Book? - "If ye are expelled, we too will go out with you, and we will never hearken to any one in your affair; and if ye are attacked (in fight) we will help you". But Allah is witness that they are indeed liars. PICKTHAL: Hast thou not observed those who are hypocrites, (how) they tell their brethren who disbelieve among the People of the Scripture: If ye are driven out, we surely will go out with you, and we will never obey anyone against you, and if ye are attacked we verily will help you. And Allah beareth witness that they verily are liars. SHAKIR: Have you not seen those who have become hypocrites? They say to those of their brethren who disbelieve from among the followers of the Book: If you are driven forth, we shall certainly go forth with you, and we will never obey any one concerning you, and if you are fought against, we will certainly help you, and Allah bears witness that they are most surely liars. YUSUFALI: If they are expelled, never will they go out with them; and if they are attacked (in fight), they will never help them; and if they do help them, they will turn their backs; so they will receive no help. PICKTHAL: (For) indeed if they are driven out they go not out with them, and indeed if they are attacked they help them not, and indeed if they had helped them they would have turned and fled, and then they would not have been victorious. SHAKIR: Certainly if these are driven forth, they will not go forth with them, and if they are fought against, they will not help them, and even if they help-them, they will certainly turn (their) backs, then they shall not be helped. 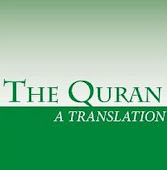 YUSUFALI: Of a truth ye are stronger (than they) because of the terror in their hearts, (sent) by Allah. This is because they are men devoid of understanding. PICKTHAL: Ye are more awful as a fear in their bosoms than Allah. That is because they are a folk who understand not. YUSUFALI: They will not fight you (even) together, except in fortified townships, or from behind walls. Strong is their fighting (spirit) amongst themselves: thou wouldst think they were united, but their hearts are divided: that is because they are a people devoid of wisdom. PICKTHAL: They will not fight against you in a body save in fortified villages or from behind walls. Their adversity among themselves is very great. Ye think of them as a whole whereas their hearts are divers. That is because they are a folk who have no sense. SHAKIR: They will not fight against you in a body save in fortified towns or from behind walls; their fighting between them is severe, you may think them as one body, and their hearts are disunited; that is because they are a people who have no sense. PICKTHAL: On the likeness of those (who suffered) a short time before them, they taste the ill-effects of their own conduct, and theirs is painful punishment. SHAKIR: Like those before them shortly; they tasted the evil result of their affair, and they shall have a painful punishment. YUSUFALI: (Their allies deceived them), like the Evil One, when he says to man, "Deny Allah": but when (man) denies Allah, (the Evil One) says, "I am free of thee: I do fear Allah, the Lord of the Worlds!" PICKTHAL: (And the hypocrites are) on the likeness of the devil when he telleth man to disbelieve, then, when he disbelieveth saith: Lo! I am quit of thee. Lo! I fear Allah, the Lord of the Worlds. SHAKIR: Like the Shaitan when he says to man: Disbelieve, but when he disbelieves, he says: I am surely clear of you; surely I fear Allah, the Lord of the worlds. YUSUFALI: The end of both will be that they will go into the Fire, dwelling therein for ever. Such is the reward of the wrong-doers. PICKTHAL: And the consequence for both will be that they are in the Fire, therein abiding. Such is the reward of evil-doers. SHAKIR: Therefore the end of both of them is that they are both in the fire to abide therein, and that is the reward of the unjust. YUSUFALI: O ye who believe! Fear Allah, and let every soul look to what (provision) He has sent forth for the morrow. Yea, fear Allah: for Allah is well-acquainted with (all) that ye do. PICKTHAL: O ye who believe! Observe your duty to Allah. And let every soul look to that which it sendeth on before for the morrow. And observe your duty to Allah. Lo! Allah is Informed of what ye do. SHAKIR: O you who believe! be careful of (your duty to) Allah, and let every soul consider what it has sent on for the morrow, and be careful of (your duty to) Allah; surely Allah is Aware of what you do. YUSUFALI: And be ye not like those who forgot Allah; and He made them forget their own souls! Such are the rebellious transgressors! PICKTHAL: And be not ye as those who forgot Allah, therefor He caused them to forget their souls. Such are the evil-doers. SHAKIR: And be not like those who forsook Allah, so He made them forsake their own souls: these it is that are the transgressors. YUSUFALI: Not equal are the Companions of the Fire and the Companions of the Garden: it is the Companions of the Garden, that will achieve Felicity. PICKTHAL: Not equal are the owners of the Fire and the owners of the Garden. The owners of the Garden, they are the victorious. SHAKIR: Not alike are the inmates of the fire and the dwellers of the garden: the dwellers of the garden are they that are the achievers. YUSUFALI: Had We sent down this Qur'an on a mountain, verily, thou wouldst have seen it humble itself and cleave asunder for fear of Allah. Such are the similitudes which We propound to men, that they may reflect. PICKTHAL: If We had caused this Qur'an to descend upon a mountain, thou (O Muhammad) verily hadst seen it humbled, rent asunder by the fear of Allah. Such similitudes coin We for mankind that haply they may reflect. SHAKIR: Had We sent down this Quran on a mountain, you would certainly have seen it falling down, splitting asunder because of the fear of Allah, and We set forth these parables to men that they may reflect. YUSUFALI: Allah is He, than Whom there is no other god;- Who knows (all things) both secret and open; He, Most Gracious, Most Merciful. PICKTHAL: He is Allah, than Whom there is no other Allah, the Knower of the Invisible and the Visible. He is the Beneficent, Merciful. YUSUFALI: Allah is He, than Whom there is no other god;- the Sovereign, the Holy One, the Source of Peace (and Perfection), the Guardian of Faith, the Preserver of Safety, the Exalted in Might, the Irresistible, the Supreme: Glory to Allah! (High is He) above the partners they attribute to Him. PICKTHAL: He is Allah, than Whom there is no other Allah, the Sovereign Lord, the Holy One, Peace, the Keeper of Faith, the Guardian, the Majestic, the Compeller, the Superb. Glorified be Allah from all that they ascribe as partner (unto Him). SHAKIR: He is Allah, besides Whom there is no god; the King, the Holy, the Giver of peace, the Granter of security, Guardian over all, the Mighty, the Supreme, the Possessor of every greatness Glory be to Allah from what they set up (with Him). YUSUFALI: He is Allah, the Creator, the Evolver, the Bestower of Forms (or Colours). To Him belong the Most Beautiful Names: whatever is in the heavens and on earth, doth declare His Praises and Glory: and He is the Exalted in Might, the Wise. PICKTHAL: He is Allah, the Creator, the Shaper out of naught, the Fashioner. His are the most beautiful names. All that is in the heavens and the earth glorifieth Him, and He is the Mighty, the Wise. SHAKIR: He is Allah the Creator, the Maker, the Fashioner; His are the most excellent names; whatever is in the heavens and the earth declares His glory; and He is the Mighty, the Wise.